The 9220 Bidirectional ASI/MPTS Gateway can receive transport streams over ASI and transmit streams over IP, or receive transport streams over IP and transmit streams over ASI. 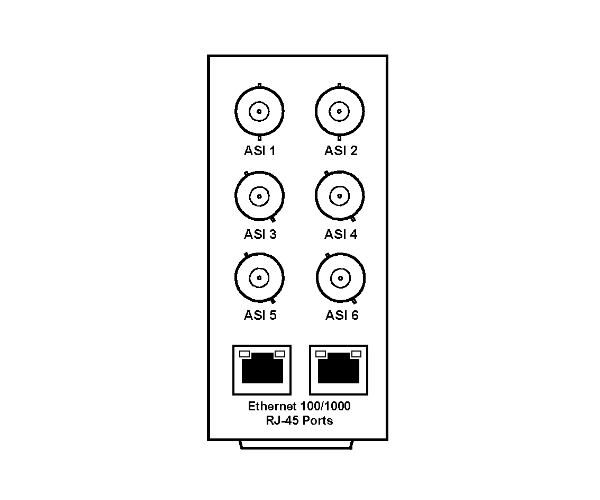 It features up to 6 ASI ports, individually configurable as inputs our outputs. With option +TS, the 9220 can support up to six ASI/IP bidirectional conversions simultaneously (standard support with no additional licenses supports one ASI/IP bidirectional gateway). The 9220 can be used to facilitate seamless plant distribution/contribution over IP. It also includes advanced redundancy protection features, allowing for automatic failover if the primary signal disappears. The card supports both unicast and multicast, with IGMP V1, V2 and V3. DashBoard™ remote control allows easy centralized control and monitoring access. The 9220 is also available in stand-alone form factor 9220-SA. Additional ASI or IP Transport Stream Output (+TS) – License is per added transport stream exiting the gateway, either IP or ASI-based (example: 1 added transport stream as ASI and 1 added transport stream as IP requires 2 added licenses). +TS Optional Additional ASI or IP Transport Stream Output. License is per added transport stream exiting the gateway, either IP or ASI-based (example: 1 added transport stream as ASI and 1 added transport stream as IP requires 2 added licenses). You are currently requesting a quote for 9220.